KottoCurio was inspired by a memory. Years ago in Tokyo, I had spent a particularly long day walking the city's streets, my body rattled by the hard pavement underneath my feet. Getting home after a long train ride, I was exhausted. 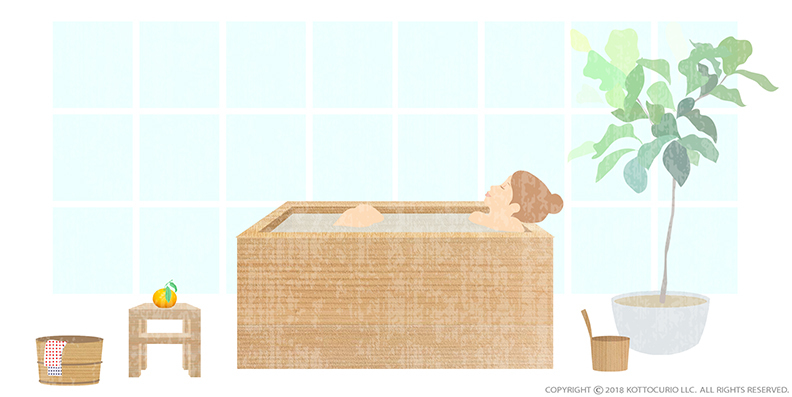 Immediately, I slipped into an ofuro, a short but deep bathtub common in most Japanese households. Up to my neck in the hot, calming water, I felt the stress of the day being carried away on the steam rising from the tub. Today KottoCurio's mission is to bottle and share that deeply relaxing moment by offering beautiful, thoughtfully designed accessories that turn an everyday bath into an experience. In Japan, bathing isn't simply about getting clean; it's an important daily ritual, meant to help maintain a sense of calm and well-being. We work with partners in Japan and around the world for unique, honest products that bring this ultimate ritualistic bath experience to you.